The other day the temperatures were in the 80's! 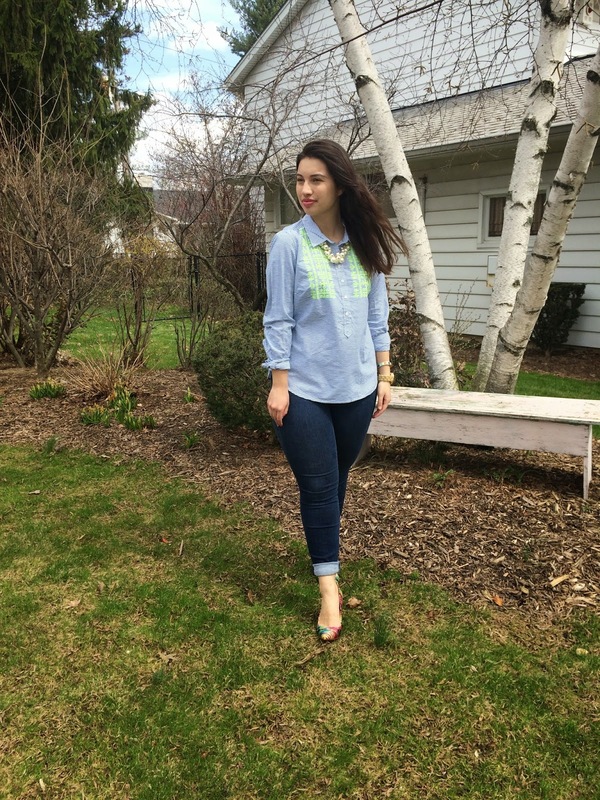 I was going out to lunch with my Mom and decided to wear some inexpensive and casual finds with a few dressier pieces. I am a huge fan of J. 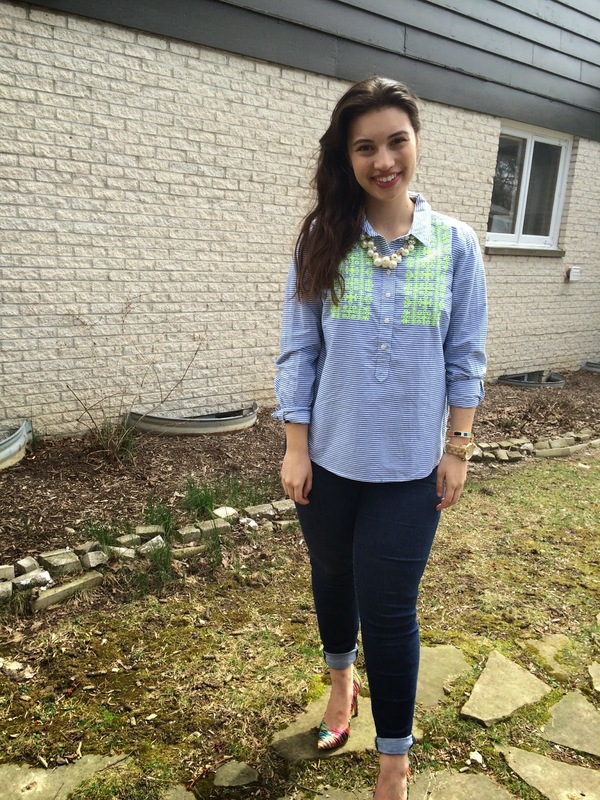 Crew popover shirts, and I found a very similar style at JC Penny for $15! With a 10 dollar-off coupon, I was able to snag this shirt for $5. It is a really thick, high quality, blue and white striped fabric, which impressed me for being at a lower price point. 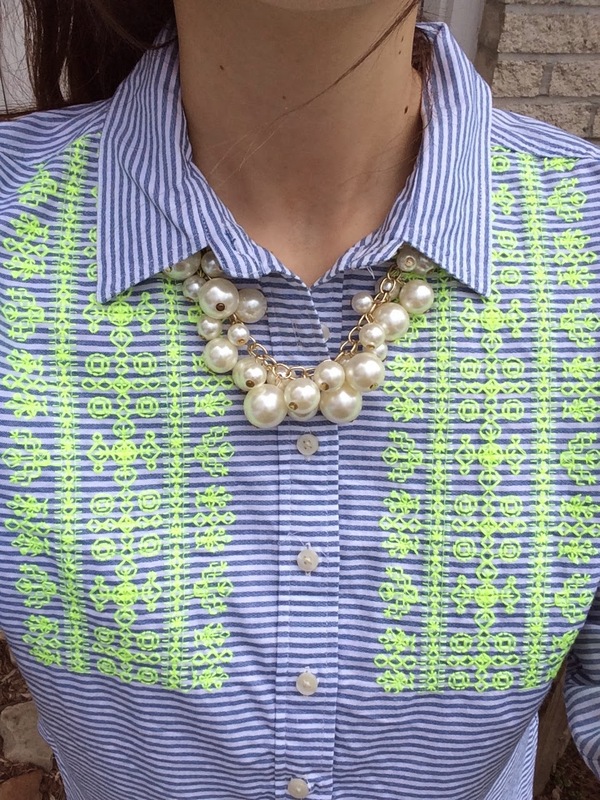 I also love the bright neon embroidery on the front of the shirt, making it perfect for summer. I wore this pearl bubble necklace to dress up the look. I found this J. Crew inspired piece from Walmart for only $7! I usually never go to Walmart, but I just happened to be looking for an air mattress, and just happened to check out the jewelry aisle... One thing lead to another, and... I found this inexpensive necklace that will be practical for so many different outfits! 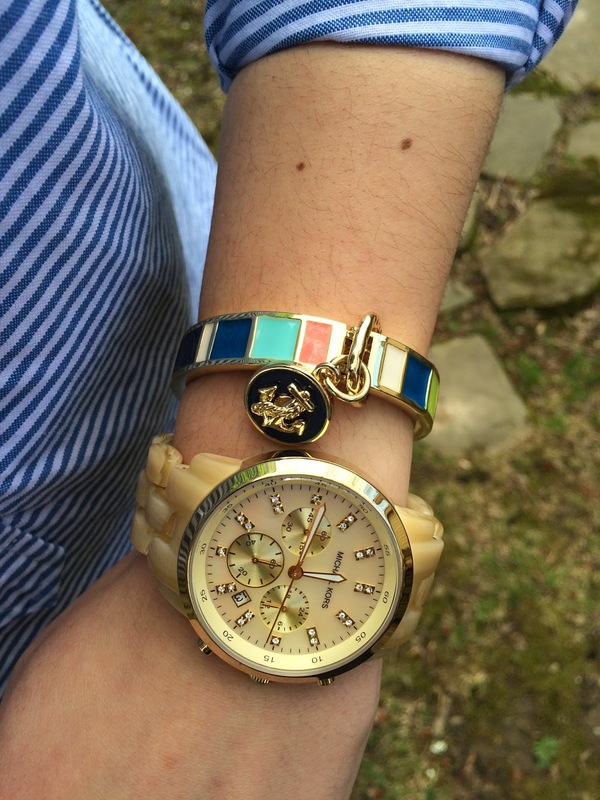 I wore my gold Michael Kors watch, and this anchor charm bangle with enamel stripes. I got this bracelet for Easter, and I love the color it adds to my spring wardrobe. 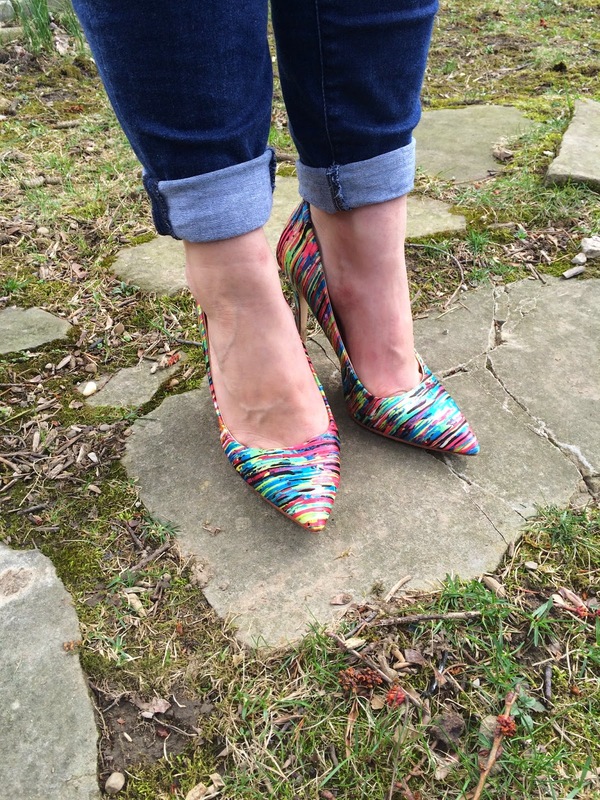 To pull in some of the neon details and add a splash of color, I wore these Prabal Gurung heels. 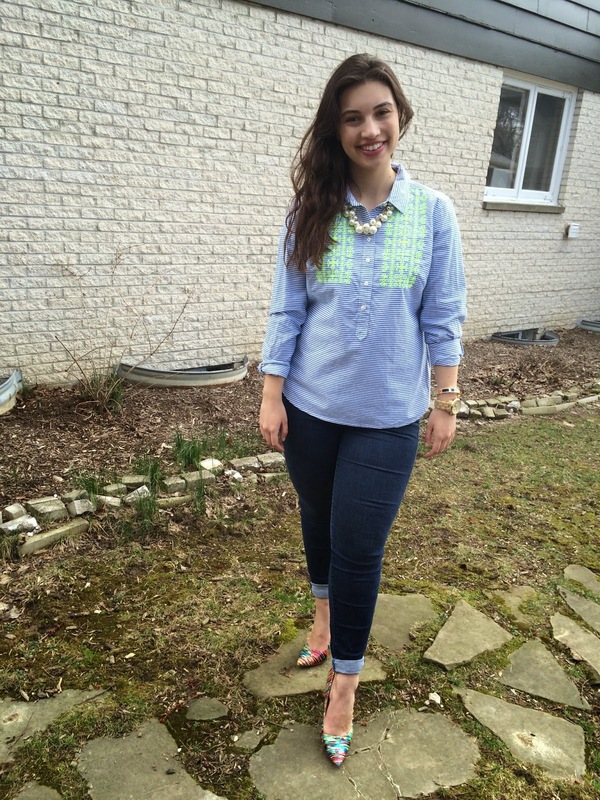 I hope you are enjoying the weather and breaking out some of your spring clothing! 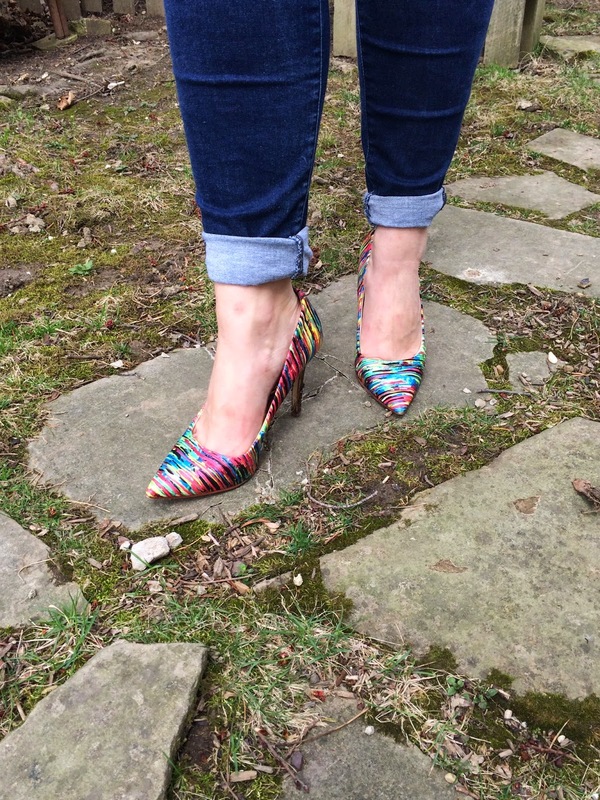 What are you excited to start wearing once it heats up?